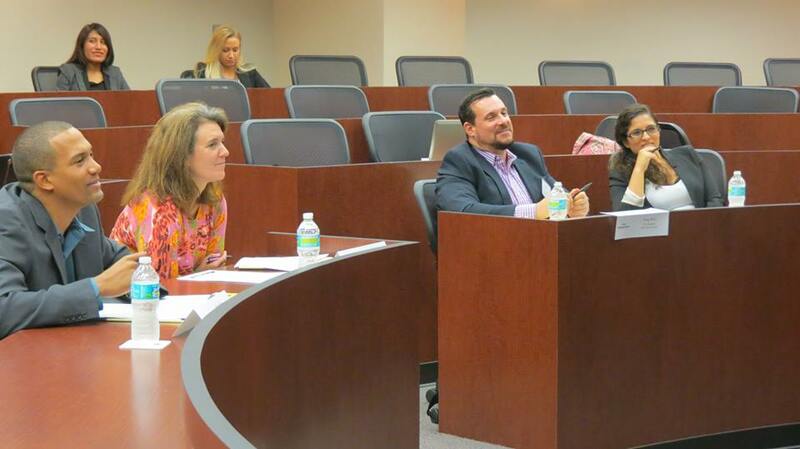 Recently I was a judge in UCF’s business model competition. I’ve judged multiple business plan competitions in the past, but the business model competition was very different. Rather than focus on the business opportunity, the unique offering, team and likelihood for success; the business model competition focuses on the journey that the entrepreneur has been through to arrive at their current state. The business model competition is based on lean start-up principles. The belief is that a start-up is in continual exploration to uncover a scalable business model. Most successful start-ups don’t end up doing exactly what they had planned initially. There are many lessons that start-up entrepreneurs go through along their journey. As a result of these lessons a series of pivots, or course adjustments, are made by the entrepreneur to help their startup better adapt to their respective environment (or find a new environment that fits them best). Developing a full business plan can take substantial amounts of time and in the end may be invalidated once you actually get into the market and learn. The business model canvas is used to help start-ups consider the major aspects that comprise their proposed venture and business model. After proposing an initial business model you should then develop key assumptions to test before investing substantial amounts of time and money in a venture. I’ll give a personal example. Background for example: Several months back my start-up Bright Impact, a solution for assessing the impact of service learning programs in higher-ed, was approached by an NBA team. They desired to track their corporate social responsibility impact through our tool. I didn’t want to immediately customize our software for that sports team because we would be going into a completely different market, become distracted from current objectives and potentially stray away from our brand positioning. At the same time I didn’t want to ignore a big potential opportunity if our product could solve a large need that another market had. I decided to create a test to validate my assumption. My assumption: Large corporations, including professional sports team, could benefit and would pay for Bright Impact to assess their CSR activities. My test: I arranged a meeting with CSR decision makers at Universal, Disney and the Orlando Magic and held a focus group. During the focus group I presented mock-up designs of what Bright Impact would look like when customized for them. I then presented a survey and had each of the decision makers answer the survey individually then we discussed the answers together as a group. Results: After the meeting I realized that this market was not the best to pursue at this time. Rather than be discouraged I was very thankful for the opportunity to save myself and company a lot of time and money. One indicated that they already had developed proprietary ways and software to collect this data. Another mentioned that their CSR reporting has become less important in recent years. The final one mentioned that it took over a year to just approve a new niche Facebook page and the sales cycle for selling this type of solution would likely be very long. As entrepreneurs it is easy for us to have a vision and believe that the world should conform and change to be exactly what we envision. It is important to truly understand the markets that you are seeking to sell into and the pain you are looking to solve. In our case one professional sports team reached out to us, but that doesn’t mean the whole market has this pain and would be willing to pay for the solution. Whether you are a new entrepreneur, serial entrepreneur or an intrapreneur (entrepreneurial employee within a corporation) it is important to understand how to construct potential business models, develop assumptions and test those assumptions before investing time and resources into building something you think a market will want. It is a lot easier up front to just build it and think customers (and cash) will come…but the world doesn’t work that way. If you utilize the business model canvas then develop assumptions and tests you are a lot more likely to make better decisions. Though you may experience entrepreneurial growing pains early on, it will save you a lot of pain and frustration in the long run. I think it is great that UCF has introduced this new competition. Utilizing the business model canvas and lean start-up methods is a great skill for any entrepreneurs to learn. This year’s judges were Robin Phelps (Business Consultant and previous tech entrepreneur), Doug White (Founder and Marketing specialist at Dream Tree Agency), Christine Ortiz (Ed reform enthusiast and founder of Founder & CEO at [ ]schools) and myself. 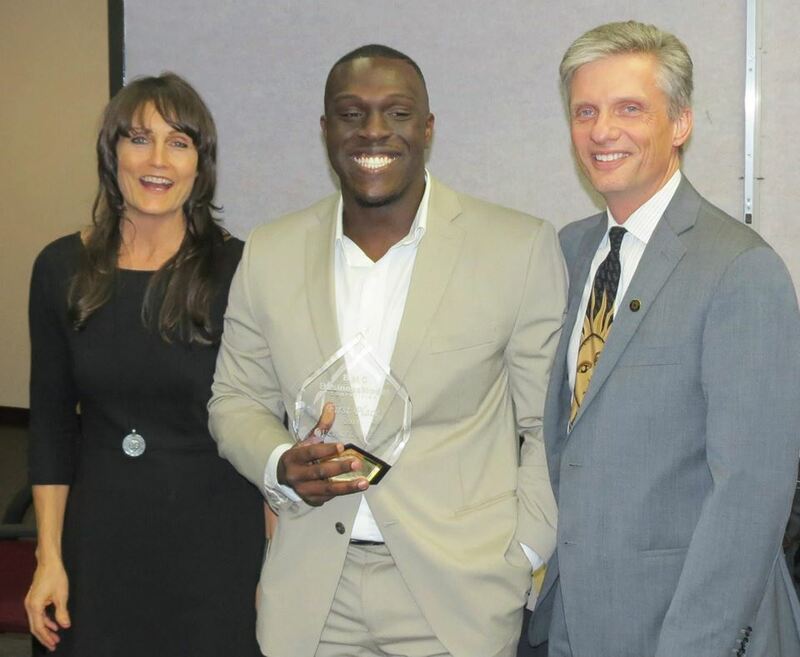 This year’s winner of the UCF business model competition was Oluwafunlola Falade, who passionately explained his journey and love / hate relationship with the business model canvas. Congrats Falade! If you enjoyed this post you may also enjoy the post I shared a few weeks back: The business plan template that helped me to win over $18,500.